Alpinestars has released over 20 new products for this season, further cementing their brand as a force to be reckoned with when it comes to not only highly technical racing gear but also sport and street riding gear. In this write-up, we're going to take a look at the six products that we think are the true highlights of this new round of gear from Alpinestars. 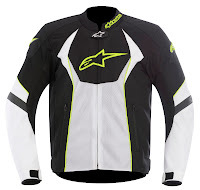 Stay tuned for more blogs that will feature the entire lineup, and don't miss all 20+ products by visiting our Alpinestars Spring 2012 Gear page. 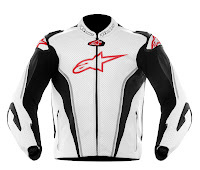 First up is the Alpinestars TZ-1 Reload Leather Jacket. Featuring a classic leather jacket style that will fit into many different riding styles, this brand new jacket packs in a ton of functionality and features at a reasonable price point for a premium leather jacket. Succeeding the old TZ-1, the brand new Alpinestars TZ1 Reload Jacket features a 1.1mm full grain leather shell with a lot of perforation, CE rated Bioarmor in the shoulders and elbows, and pockets for the Bionic Chest Pads and CE rated Bio Armor back protector. There is also the new snap connection system which allows you to incorporate the CE Level 2 Bionic Race Back Protector. There is a 360º zip for pants-connection and a really slick blacked-out color option. 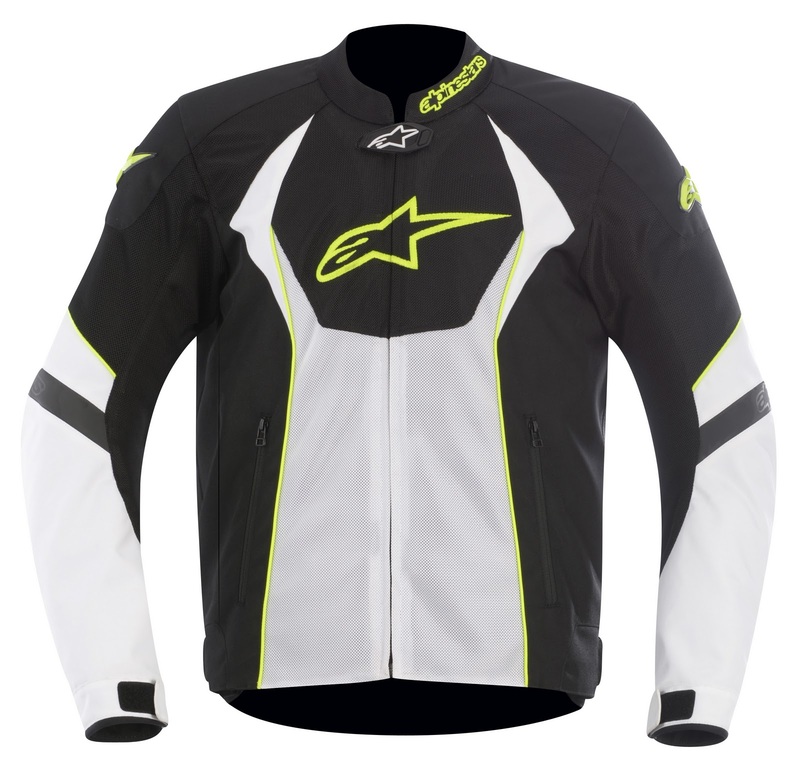 Next we have the Alpinestars GP Tech Air Leather Jacket. 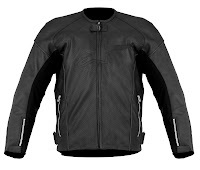 This jacket represents the new top of the line leather jacket in the AStars lineup. 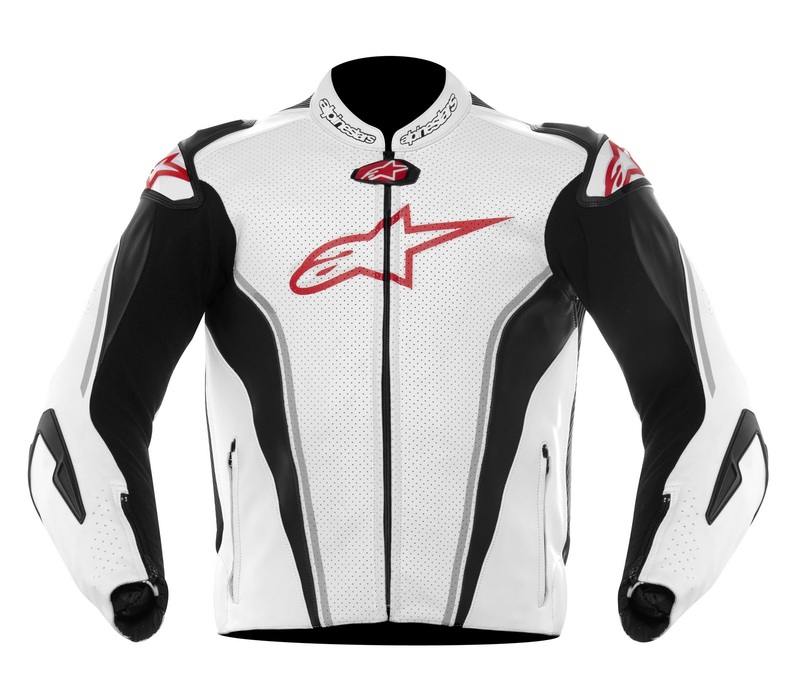 This jacket is the top half of the Alpinestars Race Replica Suit, which is also brand new for spring 2012. 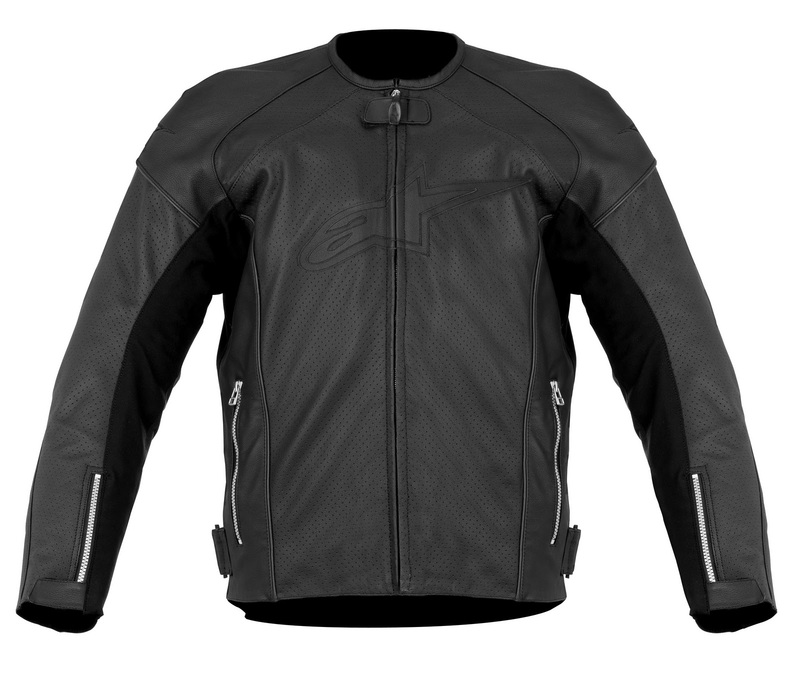 Featuring the same 1.3mm premium full grain leather used in their race suits, the GP Tech Air Leather jacket has a full perforation scheme for maximum airflow. There is CE rated GP armor in the elbows with Bioarmor in the shoulders and pockets for chest protection and CE rated back armor. There is also the snap connection system for the CE Level 2 Bionic Race Back Protector for maximum impact protection. TPU sliders are found at the shoulders and elbows along with a perforated speed hump. The removable vest liner is windbreaking and features mesh lamination for moisture-wicking. The Alpinestars T-GPR Air Jacket is the textile/mesh version of the extremely popular GP-R Leather jacket that was released at Indy last year. This version features an abrasion-resistant 600D polyester chassis with mesh panels that are hydrophobic and resistant to soaking with water. There is CE rated Bioarmor at the shoulders and elbows with pockets to upgrade the chest and back protection. Inside, there is a water-resistant and windproof full-sleeved removable liner that will come in handy in some of the more foul times of the warmer months. There is a 360º zip to pair with your favorite AStars textile pants, reflective paneling at the sleeves, adjusters at the wrist and waist, and overall tremendous branding. 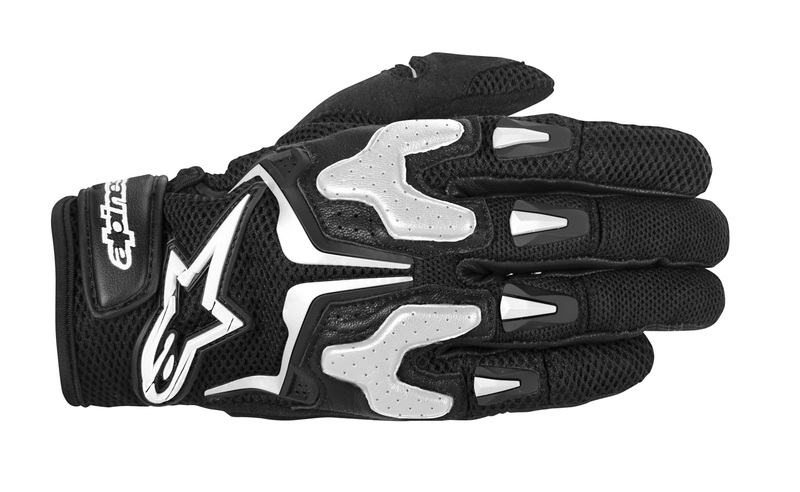 Next, the Alpinestars SMX-3 Air Gloves are a new glove option for warm weather riding. The chassis of the Alpinestars S-MX 3 Air Gloves is high-airflow mesh and goatskin at the backhand with abrasion-resistant synthetic suede at the palm. EVA foam protects at the main knuckle while TPR inserts at the mid-digits and backhand add more protection and an element of style. At the palm, synthetic suede overlays provide durability and abrasion resistance while the dense foam panel at the base of the palm provides shock absorption. We're big fans of these gloves and see them nicely complementing the rest of the short cuff warm weather gloves that AStars offers. The brand new Alpinestars Fastback WP Shoes offer the sport and street rider with a mid-cut riding boot that is completely waterproof and breathable. 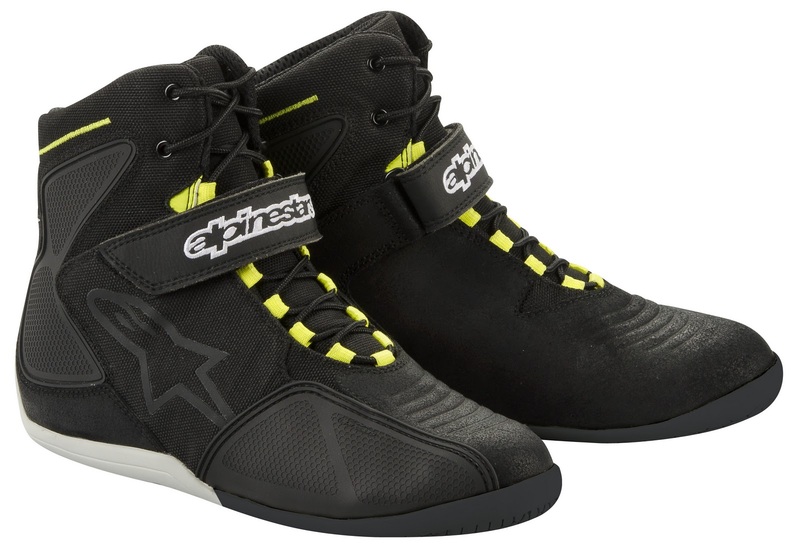 A different take on last year's Fastlane, the Alpinestars Fastback Waterproof Shoes feature a shell constructed of oiled suede leather, synthetic leather and textile, backed by a waterproof membrane. There are TPR protectors at the ankles, toe and heel counters tucked under the leather and a TPU toe protector. At the top of the toes is a textured shifter panel and these boots also feature a speed lacing system with a velcro strap to keep the laces tucked down. The high-grip rubber sole features a slimmer design at the front for flex with a higher arch for support and durability. 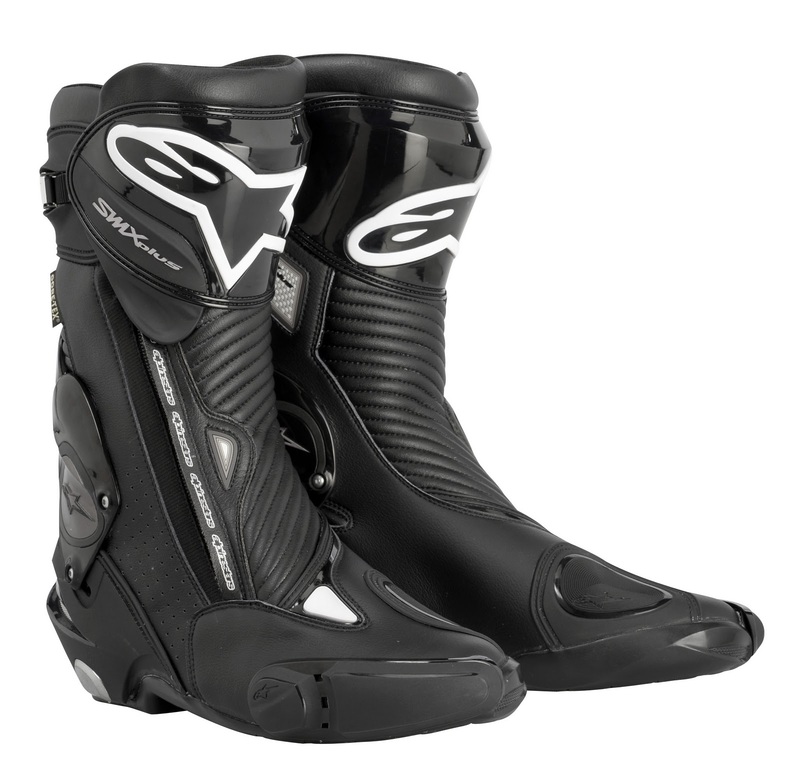 Our last highlight of this product lineup are the Alpinestars S-MX Plus Gore-Tex Boots, which build on the innovation of last year's new SMX Plus Boots but add even more functionality. A synthetic leather upper, the standout features of these boots are the Multi Link Control system, which protects the ankle from hypertorsion, hyperflexion and hyperextension while adding impact protection, and the Gore-Tex membrane, which is the most breathable of all waterproof membranes. In addition, there is a TPU shin protector, a replaceable TPU toe slider and a brawny TPU heel cockpit. The Alpinestars S-MX Plus Gore-Tex Boots are an exciting new sport and sport touring option for this season. Stay tuned for video reviews of all the new products which we'll be rolling out soon. Also, don't miss our other detailed blogs on the new gear. Links are below.